The 2017 Pacific Challenge Series presented by Penneylawyers.com enjoyed 9 different winners in 10 races. Who's Next in 2018? The journey begins Saturday night at Madera Speedway with round 1 for the 2018 title fight. SACRAMENTO, CALIFORNIA (March 28, 2018) – The Pacific Challenge Series presented by PenneyLawyers.com will begin its 2018 Super Late Model campaign on Saturday at Madera Speedway, after rainy spring delayed proceedings by two weeks. The PCS is now paired with an exciting evening of racing that honors valley racing legends Smokey Hanoian, Al Pombo, and Marshall Sargent. Allied Storage and Hampton Inn & Suites will present the activities that include the Big Egg Hunt and an undercard including BCRA Midgets and USAC Western US Midgets. A wide-variety of talented drivers is expected to compete in the 75 lap feature on the one-third mile oval. Carlos Vieira leads those drivers after he dominated both PCS races at Madera in 2017. Vieira grabbed victory in the March race but recorded a DNF after contact late in the August event while leading. The 2017 championship had six first-time series winners and the points went down to the wire with Mike Beeler becoming only the second repeat champion in series history. John Moore narrowly missed out on the crown with his son Cole third in the points. The hottest driver in the series was Matt Wendt who won two of the last three races of the year to be the series’ only repeat winner. Wendt ended up fourth in the final standings ahead of 2017 Rookie of the Year Jack Wood. El Dorado Hills’ Jason Romero ended up seventh in the points buoyed by a runner-up in the March Madera race and a win at Roseville in September. Tracy Bolin’s fifth place finish at Madera to open 2017 was his best finish of the year en route to eighth overall. Elk Grove’s Mike Hite, and Pine Grove’s Matt Scott made up the rest of the championship top-ten. Other winners included Derek Copeland at Shasta, Jeff Bischofberger at Stockton, and Randy Hedrick at Ukiah. Grandstand ticket prices on Saturday have been reduced thanks to Madera Speedway’s fine family of sponsors. Adults will be just $15, seniors and military $13, youth ages 6-12 $7, and kids 5 and under are FREE! MADERA, CALIFORNIA (March 24, 2018) – Jeremy Doss started his 2018 SPEARS SRL Southwest Tour title run with a bang, leading only the final lap to win Saturday’s Season Opener 125 at Madera Speedway. 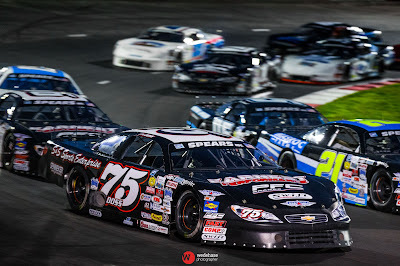 The two-time championship runner-up charged through the pack after falling as low tenth to take the lead from four-time champion Derek Thorn in dramatic fashion. A brief rain shower delayed the start of the race by half an hour on the fastest one-third mile in the west. Track crews did a commendable job with track drying to get the race underway. Doss drew the pole position after the top-eight redraw, but was quickly overhauled by Thorn around the outside at the start. Doss fell backwards rather quickly, finding himself sixth by lap nine. Former SRL and PCS champion Eric Schmidt challenged Thorn for the lead on the inside, taking the point on lap 14. Thorn never relented, staying outside Schmidt to retake the spot on lap 16 in a thrilling battle. Doss had drifted to tenth by that point when the caution flew for rookie Kayla Eshleman slamming the backstretch wall. A series of small cautions were presented throughout the race. 2017 series runner-up Ricky Schlick used the excitement to knife from his 14th starting position to seventh by lap 54. Bob Lyon tagged the wall in turn four to stall the action on lap 64 and under the caution Jacob Gomes stopped. Gomes had to pushed behind the wall with apparent mechanical problems. Doss turned up the wick, jumping inside teammate Jeff Bischofberger to take over fourth by lap 73 with still 52 laps remaining to go after the top-there. Meanwhile battling for tenth intensified when Bobby Hodges and Dan Holtz tangled in turn one for a lap 85 caution. Activity did not slow on the following restart as second fastest qualifier Craig Raudman hit the front stretch wall head on to force a red flag for cleanup. The next restart also was slowed by trouble when Linny White spun. The last significant melee was on lap 99 when Kyle Neveau suffered a crash in turn three to end his evening with front end damage. Doss seized the chance to challenge Thorn for the lead on the restart but Thorn managed to pull away. Meanwhile, two-time Madera champion Buddy Shepherd went toe-to-toe with Carlos Vieira for fifth. Thorn built up a multiple car length lead in lapped traffic in the closing stages before drama ensued on the white flag lap. Lapped traffic spun in turn one, with Thorn darting high to avoid. Doss chose low and moved ahead of Thorn down the backstretch. Doss crossed the finish line with his sixth career tour win in 24 starts. Thorn had to settle for second ahead of Bischofberger, Schmidt, and Shepherd. 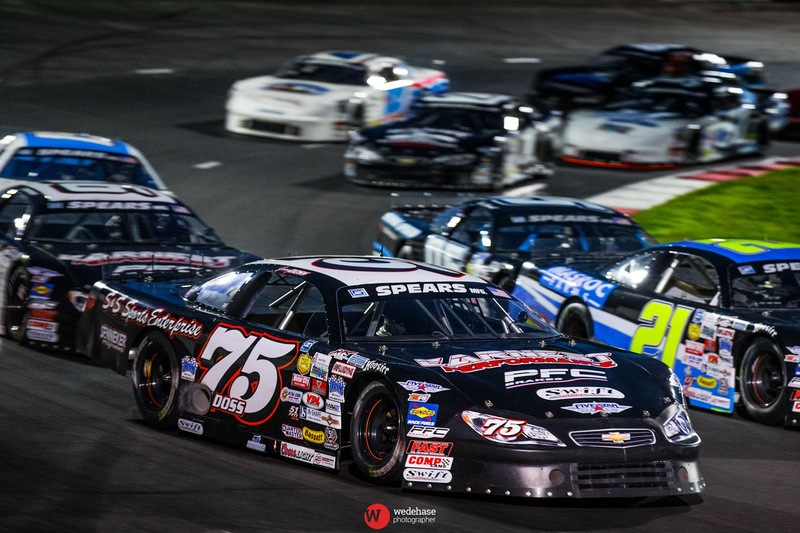 Madera Late Models opened their 2018 season in the same way the RPM Mortgage Pro Late Models did – with Matt Erickson in victory lane. Dillon Tucker led the first four laps of the 40 lap contest before Erickson took over on a lap five restart. Jason Aguirre took over second on lap seven but had to watch as Erickson pulled away to a half lap advantage by the finish. The battle for third was exciting; however, as Canadian driver Brett Taylor challenged Tucker throughout the race. Taylor won the duel in his Nascimento Motorsports-prepared entry. Tyler Herzog rounded out the top-five. 17 Legends of the Pacific filled their corner of the pit area for their respective 2018 season opener. 2017 Kern County Raceway Park champion Luis Tyrell showed his force by leading until lap seven when he retired with mechanical problems on a restart. Sebastopol’s Cody Winchel took over and weathered numerous restarts to maintain the top spot. Bakersfield’s Braden Rogers dove low inside Winchel several times but never completed the winning move. The top-five after 35 laps of competition saw Winchel topping Rogers, Josh Fleming, Chad Nascimento, and Michael Ray. The 30 lap opener for the Madera Hobby Stocks provided intrigue as well with the top-two qualifiers having to start from the second row after the invert. Thomas Suarez debuted a new body style with a modern Late Model-type Camaro body and led the first eight laps. A caution on lap six saw Howard Holden spin off the side of Steve Schermerhorn battling for third. Holden went to work from the rear while fast-time qualifier Chuck Dozier took over the lead on lap nine. Holden methodically worked through the pack while Dozier pulled away. Things tightened up when Suarez and Verg Betty had a turn three incident for a caution on lap 17. Holden took advantage, taking the lead from Dozier on lap 23 and leading all the way to the end. Holden, Dozier, Suarez, Betty, and Shelden Cooper made up the top-five. Jillaun Holden won her second consecutive Toyota Sedan race, leading wire-to-wire in the 25 lap main event. 2017 champion Mike Marley topped the F4 entry of Barrett Sugden for second with Thomas Magray beating out Tim Curtis for third of the Sedans. Patrick Geiger scored the 25 lap Modified Super Toyota opening night race, in a feature highlighted by a tangle between Bert Stephens and early leader Dave Lander on a restart. The crash ended Lander’s race, while Stephens soldiered on to battle with Dennis Brannon for second throughout the main event. Geiger won by 2.1 seconds over Brannon, Stephens, Tim Kammerer, and Shaun Reynolds. 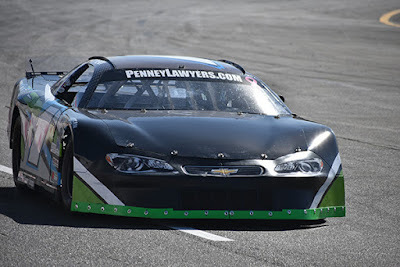 “Super Spring” continues at Madera Speedway on Saturday March 31st on Easter Weekend with the Pacific Challenge Series Super Late Models presented by PenneyLawyers.com in action. A wide variety of divisions will make up the undercard including BCRA Midgets, USAC Western US Midgets, Jr. Late Model exhibition race, Legends of Kearney Bowl, and CSS 360 Super Modifieds. An Easter Egg Hunt will also be on the card for the Hanoian / Pombo Classic night.